Last July, some 60 teenagers and adult leaders from Immanuel Lutheran Church in St. Charles, Mo., piled into a bus and made the 10-hour drive to New Orleans. This wasn’t just a vacation for them. The group was headed to the 13th triennial LCMS Youth Gathering, where they would spend the next five days engaged in worship, learning, faith discussions, fellowship and fun with more than 22,000 other Lutheran youth and adults from all 35 LCMS districts and 14 countries. Participants gather for a Mass Event in the Mercedes-Benz Superdome during the 2016 LCMS Youth Gathering in New Orleans. One of the main ideas throughout the July 16–20 event was that Christians echo Jesus’ love to those around them. “Our humility is an echo of Jesus’ humility. We receive his humble love and it’s reflected in us and through us to someone else,” tweeted the Rev. Matthew Popovits during the Gathering. Popovits, pastor of Our Saviour New York, Rego Park, N.Y., served as the “trusted voice” during the 2016 Gathering’s Mass Events. Thousands participated in the Gathering’s many organized servant events. Teens and adults also took to Twitter to talk about their own ways of echoing Christ’s love, using #IAmAnEcho. Some tweeted about praying with people on the street, handing out water bottles to thirsty pedestrians and hugging police officers. Others posted about distributing meals to New Orleans’ homeless community. “Even have food for their dogs!” tweeted one teenage girl after posting a photo of a bag full of meals for the homeless. Our humility is an echo of Jesus’ humility. We receive his humble love and it’s reflected in us and through us to someone else. The Rev. Matthew Popovits, pastor of Our Saviour New York, Rego Park, N.Y.
Sarah Franklin (left) and Isabella Schneider pack food donations at Immanuel Lutheran Church, St. Charles, Mo., in February. The items were then delivered to a local food pantry. Those echoes didn’t stop on the final day of the Gathering. The idea continues to resonate with participants well after they returned to their homes — whether in Winston-Salem, N.C.; Harlingen, Texas; Chiayi, Taiwan; or St. Charles. More than six months later, Isabella Schneider, another member of Immanuel and a sophomore at a local public high school, said the idea of being an echo “empowered” her to let go of some of her fear of sharing her faith with others. “As an echo, even when you are scared, God will speak through you,” she said, noting how reassuring that thought was to her. Schneider is a leader of the Fellowship of Christian Athletes chapter at her school, where she often leads devotions using materials from her youth group’s Bible study. For Franklin, it was encouraging to hear the testimonies of the speakers at the Gathering, including many around her own age. Franklin also continues to draw on lessons she learned at the Gathering. Since she plays both basketball and golf, she found the session on showing Christ’s love through sports particularly helpful. Youth participate in the 2016 LCMS Youth Gathering 5K in July. The event raised $30,000 to help refugees and immigrants. Siebarth admits that taking a group to the Gathering is a lot of work. She spends nearly a year arranging logistics, helping the youth raise donations to cover their expenses, and preparing them to get the most out of their short time there. But she says it’s worth it. “For a lot of them, hearing the speakers on the main stage at the Mass Events and having worship and serving with a large group and knowing there are all these people together for the same reason can definitely change their perspective on things,” she said. Among her youth, she often sees confusion about the messages they receive from the world versus what they hear in church. She builds on the opportunities they had at the Gathering to get together in small groups and dig deeper into those faith topics. One way she does this is by keeping her youth actively engaged in echoing Christ through service to others. In February, Franklin, Schneider and others led a service project to collect and deliver food to a local Christian food pantry. Schneider loads up her car with donations for a local food pantry at Immanuel Lutheran Church, St. Charles, Mo., in February. Immanuel’s youth group also is gearing up to serve this summer at the Shoshone Mountain Retreat in Wallace, Idaho, through LCMS Youth Ministry’s annual servant-event program. 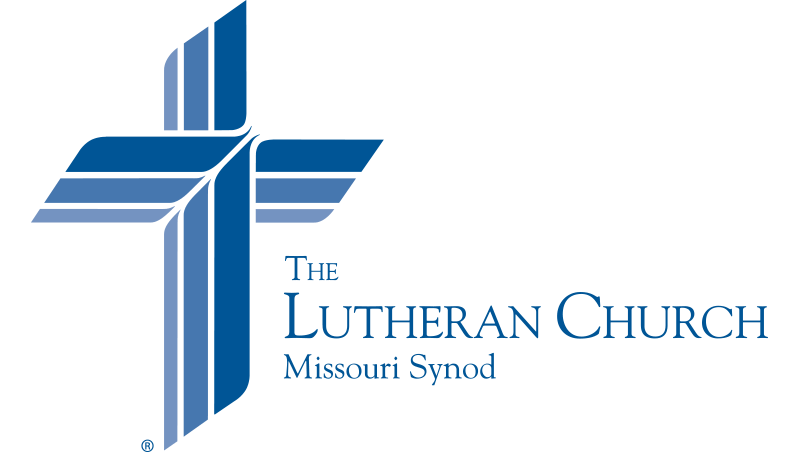 The theme for the 2017 LCMS Servant Events is “I Am An Echo,” which delves into this topic from the Gathering through weeklong devotions and Bible studies. Lord of life, You walked this earth throughout Your teenage years. Bless the youth of Your Church, and keep them close to Yourself through Your Word and Sacraments. Empower them by Your Spirit to echo Your love through their words and actions to those in their lives. Keep them in the one true faith. We thank You for those called to work with youth. Give them strength and wisdom to serve as You desire. We also thank You for the LCMS Youth Gathering and those who attended. May they dwell securely in the Word they heard as they gather in their congregations. May all be drawn to You, who lives and reigns with the Father and the Holy Spirit, one God, now and forever. Amen.